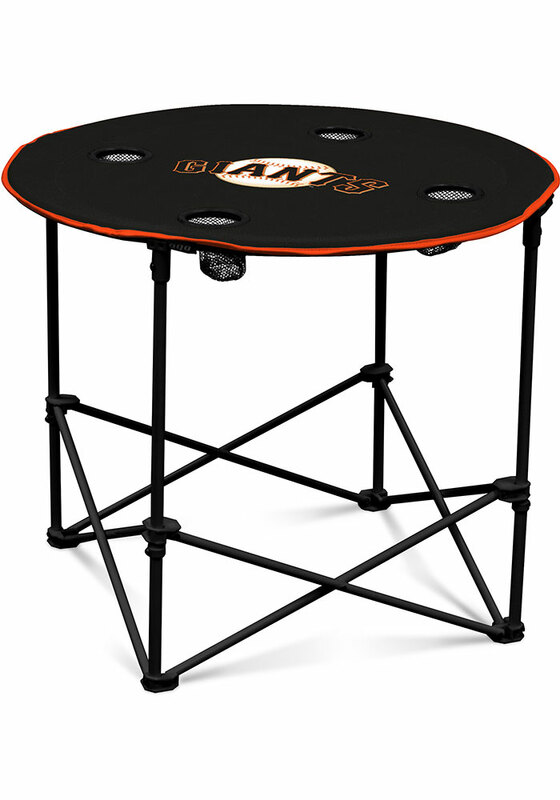 Bring the Giants style to your next tailgate with this San Francisco Giants Round Table. This Table features a San Francisco Giants logo. It features a large logo in the center with coordinating trim. With a sturdy surface and four cup holders, it is ideal for a food spread or gathering around with friends. Transport it to and fro in the matching zip-up bag with shoulder strap.